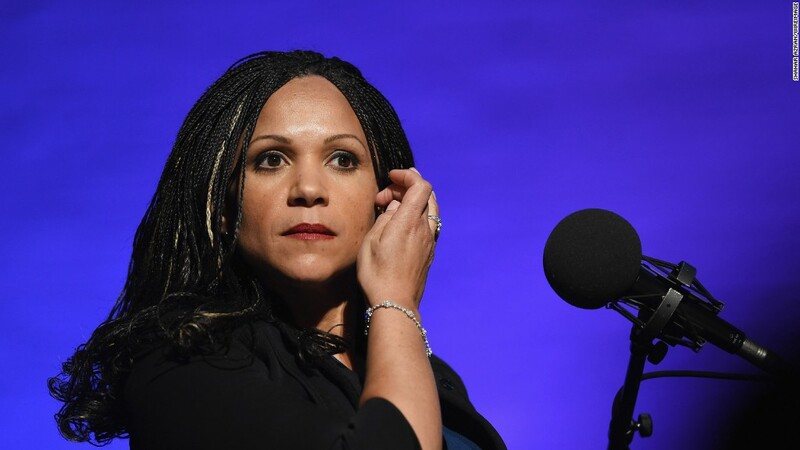 Melissa Harris-Perry will not be back on MSNBC. On Sunday morning, two days after the host's private fight with management went public, an MSNBC spokesman confirmed that the channel is "parting ways" with her. Earlier in the morning, Harris-Perry posted a photo on Twitter and said "Farewell #Nerdland," a nickname for her weekend show, "Melissa Harris-Perry." "Inviting diverse new voices to table was a privilege," she tweeted. "Grateful for years of support and criticism." Harris-Perry confirmed to CNNMoney that her representatives are in talks with MSNBC about an exit deal. Harris-Perry had felt for months like MSNBC was trying to squeeze her off the air and take away her editorial point of view. On Friday, she spoke out about the treatment, saying she had been "silenced" by MSNBC and placed in a form of cable news purgatory, having been pre-empted for two weekends in a row. "Our show was taken -- without comment or discussion or notice -- in the midst of an election season," she wrote in a letter to staff that was shared with her fans. MSNBC and its rivals are all trying to squeeze higher ratings out of the chaotic primary season. The channel pre-empted her for campaign coverage with a "Place for Politics" title. The same thing has happened to other shows, too, MSNBC said in a statement responding to her letter on Friday. The channel called her reaction "surprising, confusing and disappointing." But Harris-Perry said the February pre-emptions were merely the most visible manifestation of the channel's marginalization of her show. In the letter, she said "no one on the third floor," where MSNBC's executives work at 30 Rockefeller Center, "has even returned an email, called me, or initiated or responded to any communication of any kind from me for nearly a month." She also pointedly noted a "dramatic change" in the "editorial tone and racial composition of MSNBC's on-air coverage." Harris-Perry's MSNBC contract expires in October. "All negotiations are occurring with third parties," Harris-Perry said in a statement to CNNMoney on Sunday morning. "I am not personally in direct communication with anyone employed with MSNBC." She added, "The goal of the negotiation at this point is to determine the terms of severance, not reconciliation."